Where are you originally from and what brought you to Korea? I am originally from Mexico but before coming to Korea I spent over six years in Europe working in digital marketing. One of the companies I was working for in the UK and France specialized in the distribution of vegan products, and I made a few contacts in Korea and decided to try and bring this business to Seoul. Did you think vegan cheese would be a successful product in Korea? The demand for vegan products is increasing in Korea. The biggest demographic for vegan products is between the ages of 18 and 25 years of age, and a lot of younger people as well as people in their thirties and forties are currently interested in veganism and vegetarian lifestyles. There is also a large group of older Koreans who adopt veganism in old age for health reasons. Climate change and health are just a couple of reasons for why people may choose to eat vegan food, but there are many other reasons for choosing this lifestyle. Vegans are very aware of what they eat and why they are eating it, so they do their research and know how to find products like ours. Vegan restaurants in Korea use vegan cheese to make vegan burgers, vegan pizza, and also vegan Mexican food. I realized early on that there was a demand for our product, as there were no reliable vegan cheese brands in Korea with proper distribution, so we found there was a niche to be filled. There is a lot of value and profits in the food and beverage industry in Korea, so I knew it wouldn’t be a problem to find interest in our products. I also recently launched a mobile application in Korea so that Korean people can buy vegan products and vegan food on the application. It is the first application for vegan food and services in Korea, and is gaining popularity at the moment. How is vegan cheese different to regular cheese? Vegan cheese is dairy-free and gluten-free and made primarily from a mixture of coconut oil, olive extract, potato starch and corn starch. Our products are high quality and are produced in Greece. The taste and texture of vegan cheese is very similar to that of real cheese, and when we did the taste tests in Korea many Koreans couldn’t distinguish between the vegan cheese and the dairy-based cheese. Have you had any challenges building a business in Korea? Firstly, Korean language can be an obstacle for managing a business in Korea, and I have to spend more money to employ Korean speakers who can work alongside me to ensure that our customers are satisfied and there are no mistakes made. Our main business website is in Korean and the payment systems in Korea are more complicated than western payment systems, so that is something that I have had to deal with. The banking system in Korea can be challenging at times. All food products that are distributed in Korea must also pass specific regulations stipulated by the KFDA (Korean Food and Drug Administration), so we have had to be vigilant about ensuring all of our packaging has fit within Korean regulations. Also, Koreans and non-Koreans prefer different kinds of tastes, so we always do tastes tests in Korea to check what flavours and tastes Korean people prefer. Have you noticed any unique things about doing business in Korea? Business in Korea relies heavily on face to face interaction. There are not as many business to business digital services in Korea for the food industry, so I have to directly interact with each of our clients. This has good points and negatives points, as I need more time to travel around Seoul and visit restaurants and buyers, but I also get to develop personal relationships and understand the needs of my customers this way. Currently we are trying to develop a Business to Business website service to make the situation easier for everyone. How did you learn about Bitcoin and what have been your experiences with Bitcoin so far? I found out about Bitcoin six or seven years ago as I had a tech friend who was interested in crypto-currencies. I was curious and discovered that it was more convenient for me to send money abroad using Bitcoin. It’s fast and simple and I don’t need to go through a bank, and for business and personal transactions I have been doing bitcoin transactions lately. 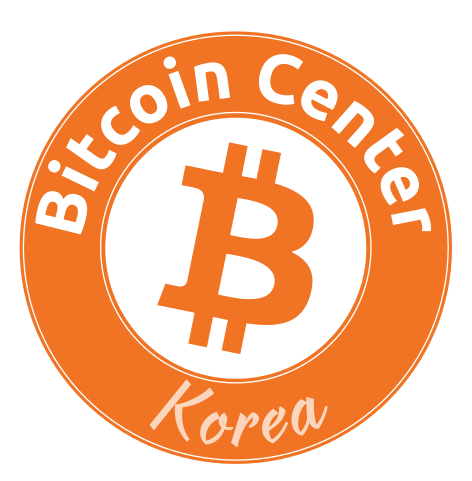 Do you think Bitcoin will become more widely used in Korea? I think so. Koreans try to do everything digitally, so Bitcoin perfectly matches the lifestyle in Korea. For the convenience and also for the opportunity to make money, I believe there is a lot of potential for bitcoin traders. For my business we will need a payment gateway to be able to integrate Bitcoin, but I think with a little bit of time we will be able to make it work. My company just launched a vegan website in Mexico recently and the website is already accepting Bitcoin as payment, so our business in Korea will hopefully catch up soon. As a business owner, I am willing to take a risk and allow payment for our products with Bitcoin, as I know that in the future the value of Bitcoin will grow over time. What has been your biggest success in Korea so far? At the moment we are trying to push the technology along with our products so that vegan food can compete with the mainstream food products available in Korea. We have helped a lot of vegan businesses in Korea to grow and become more profitable, and this has been a big success for us. The vegan businesses have been growing as they use our cheese, and we are proud and honoured to support and work alongside vegan businesses in Korea. We are planning to potentially expand to other countries in Asia, so that will be next on the list. We have expanded our list of products, and we now supply vegan pasta in Korea, and are hoping to add more vegan products later on. We have lots of ideas we would like to try, so who knows what is next!